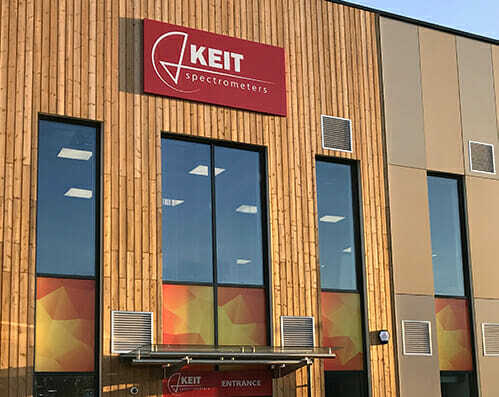 Keit is located in the beautiful Oxfordshire countryside on the Harwell Campus conjoint with the Rutherford Appleton Laboratory (RAL) near the village of Chilton, 4 miles from Didcot, 8 miles from Abingdon and 15 miles from Oxford, England. Headquarters are located in the new Zephyr Building, in Unit 4, off of Eighth Street and behind Oxford Space Systems. For driving directions, see below. From the Newbury Road (A4185), enter the Harwell Campus via the Fermi Avenue main entrance. At the first roundabout, stay left. Pass the European Space Agency (ESA) building (on your left-hand side). At the second roundabout, take a right onto Eighth Street. At the next roundabout, take a right into the Zephyr Building complex (you’ll see Oxford Space Systems visible). As you enter the parking area, go straight. Keit will be directly on your right, Unit 4. Driving directions from further distances are below. You are free to park in any space marked with the number 4 outside Keit’s Headquarters. Parking is limited. Please let us know before you visit, so we can ensure a space for you. Pass the European Space Agency (ESA) building on your left-hand side. As you enter the parking area, go straight. Keit will be directly on your right, Unit 4. Park on any space marked with the number four. At the next roundabout, take the first exit onto Fermi Avenue, the entrance to Harwell Campus and stay left. The closest train station is Didcot Parkway (6 miles away). There is a taxi stand at the exit of the station.